So, What if the Bible Really Is True? 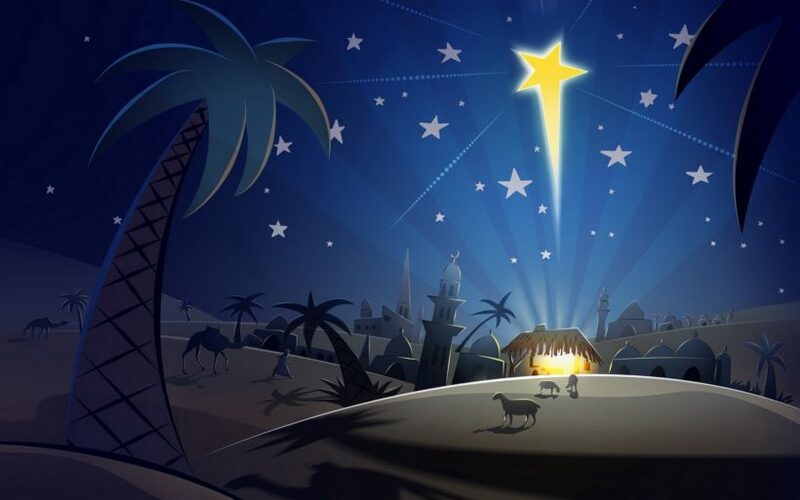 (by David Limbaugh) – I’d like to challenge you to consider that the “good news” we celebrate during the Christmas season really is true. You may choose to believe the Bible is merely a book of fables with nice moral lessons, but there is more abundant and accurate manuscript evidence for the New Testament than any other book from antiquity. Moreover, the number of witnesses to Christ’s life, death and resurrection, as well as the nature of their testimony, is strong evidence of the reliability of the scriptural accounts, as are the corroborating secular testimony and archeological evidence. In fact, the New Testament writers had every temporal motive to deny the resurrection occurred. Why would they fabricate and stand by a story that would lead to their being beaten, tortured and murdered? He said, “I am the way and the truth and the life. No one comes to the Father except through Me. If you know Me, you will also know My Father. … The one who has seen Me has seen the Father” (John 14:6-8). He also said, “I tell you the truth, before Abraham was born, I am” (John 8:58). Here, Jesus claimed not only to have pre-existed Abraham but also that His pre-existence was eternal, as would have been the case had He said, “I was.” More significantly, “I AM” was a name for God. He further identified himself as the God of the Old Testament, when proclaiming, “I am the light of the world” (Psalm 27:1 says, “The Lord is my light and my salvation”) and “I am the good shepherd.” (Psalm 23:1 says, “The Lord is my shepherd.”) When responding to the high priest as to His deity, Jesus said, “I am and you will see the Son of Man seated at the right hand of the Power, and coming with the clouds of heaven” (Mark 14:62). He rose from the dead and ascended into heaven. Jesus claimed to have authority to forgive sins. He told the paralyzed man, “But so you may know that the Son of Man has authority on earth to forgive sins.” He said He was the judge of mankind (John 5:25-29). Jesus claimed honor that is only due God (Isaiah 42:8), when He said, “And now, Father, glorify me in your presence with the glory I had with you before the world began” (John 17:1) and “Honor the Son, even as they honor the Father” (John 5:23). Jesus invited prayer in His name: “And I will do whatever you ask in my name” (John 14:13). He accepted worship (Matthew 8:2, 14:33, 15:25, 20:20, 28:17), though the Old Testament clearly forbids the worship of anyone but God (Exodus 20:1-4; Deuteronomy 5:6-9). Even the angels refused to be worshipped (Revelation 22:8, 9). Jesus said He would give us things that only God can give. “For just as the Father raises the dead and gives them life, even so the Son gives life to whom he is pleased to give it” (John 5:21). Jesus told us not just to follow His teaching but also to follow Him (Matthew 10:38). Jesus performed many miracles, the greatest being His resurrection, which He predicted (John 2:19, 21) and was attested to by all four Gospel writers and, among others, by Paul, who said Jesus was seen by more than 500 eyewitnesses, most of whom were still alive and could have contradicted him if untrue (1 Corinthians 15:4). His Apostles also claimed that He was God: “In the beginning was the Word and the Word was with God and the Word was God” (John 1:1); Jesus was the “first and the last” (Revelation 1:17, 2:8, 22:13); and, “For unto us, a child is born … and his name will be called ‘Wonderful, counselor, Mighty God, Everlasting Father, Prince of Peace” (Matthew 1:23). Jesus, who claimed and proved to be God, affirmed the divine authority of the Old Testament (Matthew 5:17-18) and promised that the Holy Spirit would inspire the New Testament revelations (John 14:26, 16:13). New Testament writers also attested that all Scripture is inspired of God (2 Timothy 3:16). Eternal security, indeed, for Christ died so that by repenting and trusting in Him, we could live. Now that’s the true meaning of Christmas and the best news of all.